1. 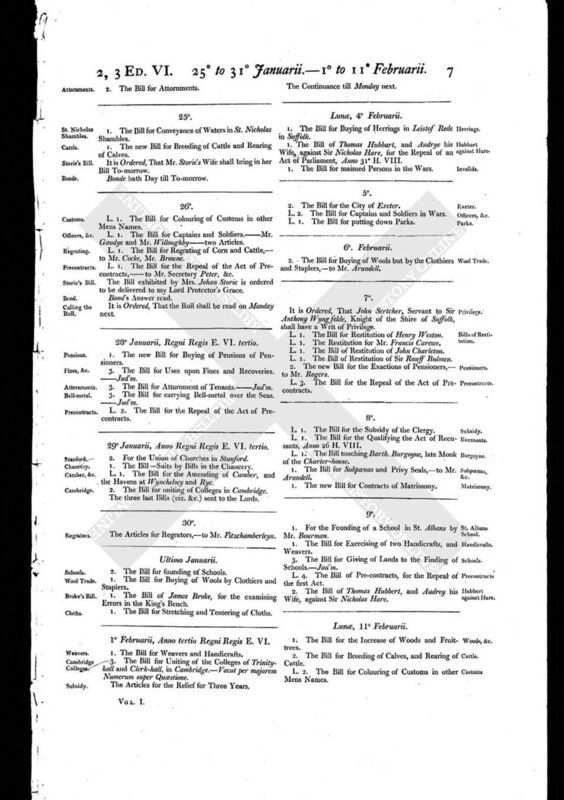 The Bill for Conveyance of Waters in St. Nicholas Shambles. 1. The new Bill for Breeding of Cattle and Rearing of Calves. It is Ordered, That Mr. Storie's Wife shall bring in her Bill To-morrow. Bonde hath Day till To-morrow.